Clients | WHY Jonell PR? 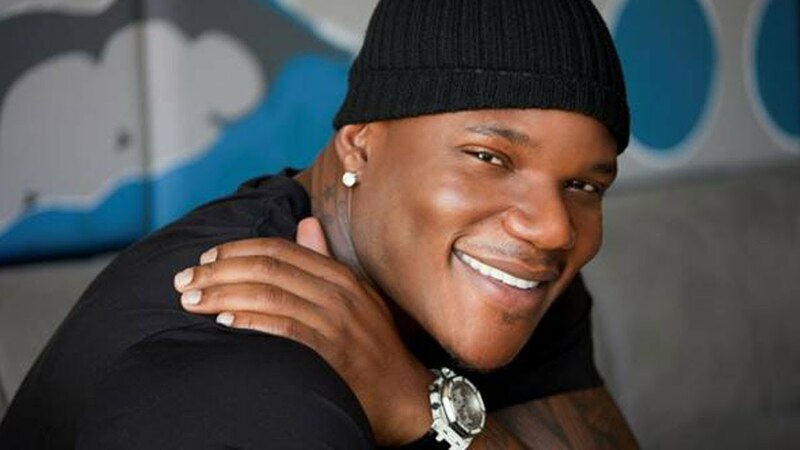 Sean Garrett is no stranger to being at the top of his pen game. With 17 #1 Billboard hits, its no surprise Garrett is a Multi Grammy Award Winner! Listed as #5 on Billboard’s top list of songwriters and #1 on Billboard for the person to achieve these accolades in record breaking time as Sean Garrett has been in the music industry the least amount of time in comparison to his peers that are also charting on Billboard’s numbered lists. Garrett is responsible for a series of chart-topping compositions, most notably Usher’s “Yeah!”, Ciara’s breakout track “Goodies” Teairra Mari’s debut single “Make Her Feel Good” Mario’s single “Break Up” and Chris Brown’s debut single “Run It!”. He is in a production duo with Swizz Beatz, and together they produced several Beyoncé Knowles singles: “Ring the Alarm”, “Get Me Bodied”, “Upgrade U” and “Check on It”. He also writes often over productions by Polow da Don. 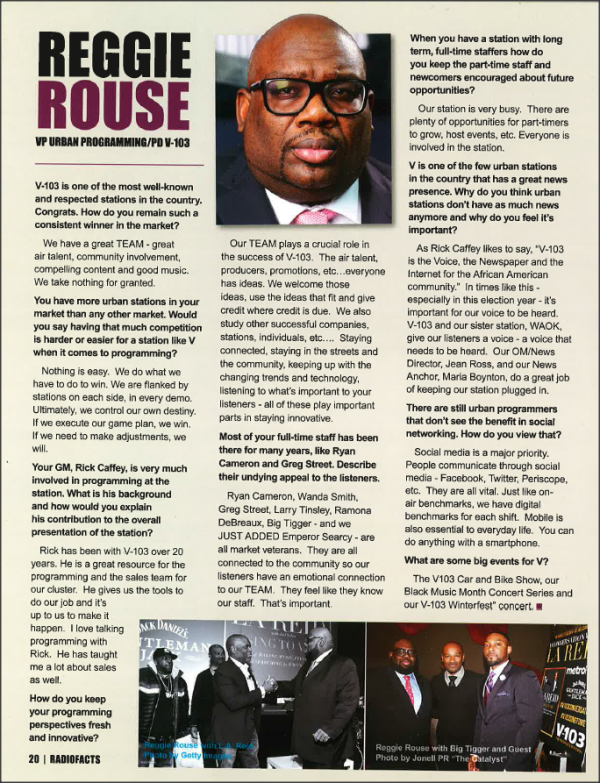 Today, Rouse is the Vice President of Urban Programming for CBS Radio and the Program Director for Atlanta’s number one station, WVEE-FM and WAOK-AM. 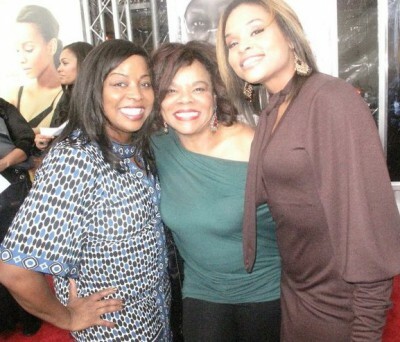 In 2005, Rouse was promoted to programming director at V-103 FM, Atlanta’s number one urban radio station. 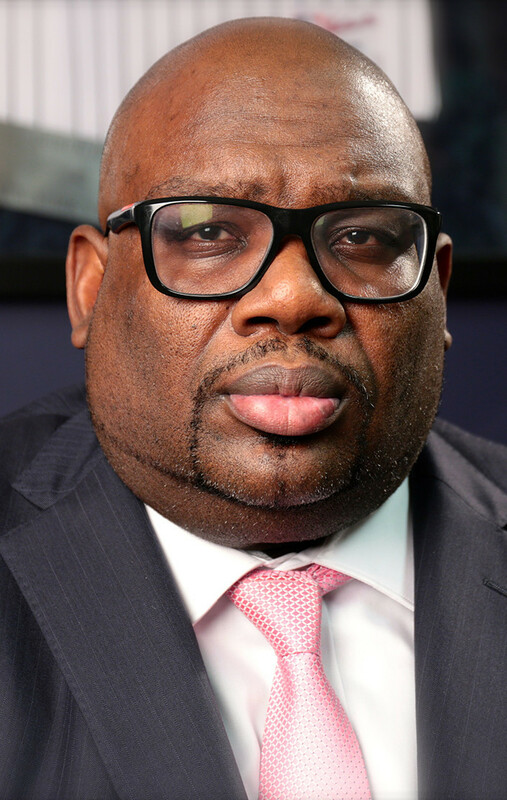 Inheriting a number one station can be daunting but he took the reins and lead WVEE-FM and WAOK–AM to new heights. Both stations are known for their outreach and community activism. 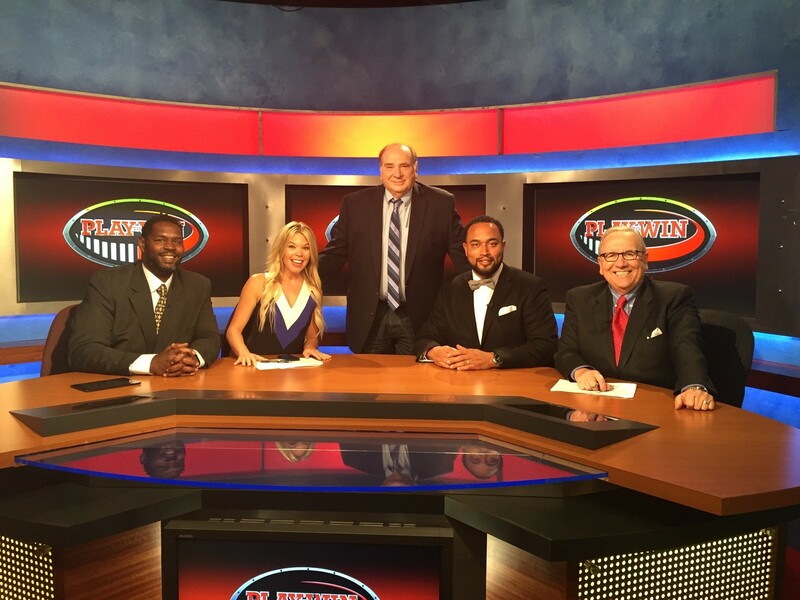 The station raised over $200,000 for the victims of Hurricane Katrina. Also, when so many were angry about the acquittal of George Zimmerman in the killing of Trayvon Martin, the station chose to allow the community to vent their frustrations. Renewing his contract for 2016 year with the Philadelphia Eagles, this defensive lineman has become quite the sack man! 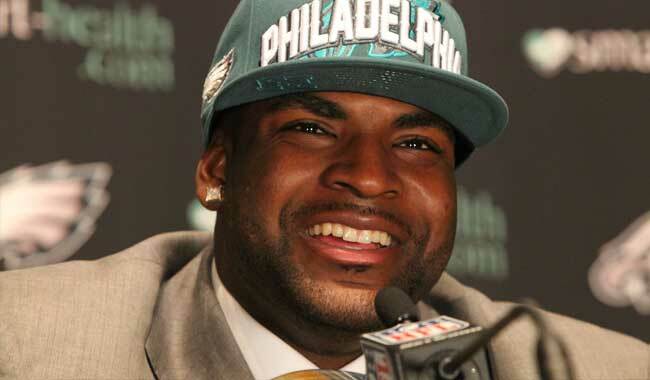 A second-round selection of the Eagles in the 2012 NFL Draft, Vinny Curry saw valuable snaps as part of the team’s d-line rotation in the second half of his rookie campaign. Curry was named the 2011 Conference USA Defensive Player of the Year and finished his four-year career at Marshall with 26 sacks, 49 tackles for a loss and 10 forced fumbles. Pay attention this NFL season and see what the “Eagles Secret Weapon” has up his sleeve! Brad James has become more than just a talented actor. In addition to his acting, Brad has also begun to write, produce and direct projects that he feels have stories that will entertain and enlighten. Brad James has earned all of these film and television credits in just 2 years! His pace is showing no signs of slowing down as he has been added as a series regular on the highly anticipated TBS sitcom, “Tyler Perry’s: For Better or Worse”. Jonell (Media) PR aka “Red Carpet Slave“(editorial tag line) is an Entertainment News and Lifesytle (Editor)/Red Carpet Commentator for Special Events for Sister to Sister Magazine as well. Several articles can be seen daily on the s2smagazine.com website. Mission of P.A.C.E.- To serve as product champions for companies seeking to increase consumer engagement by way of marketing, digital ad sales, promotions and branding. Founder of T.A.C.K.L.E. Skills.com . Owner of Entertainment/Fashion/Lifestyle Blog Anothermartinimoment.com/ Owner of Jonell PR Brand Management Agency and Founder. Manages the daily operation of Jonell PR Brand Mngmnt Agency. Jonell “Media” PR is a content writer for T.A.C.K.L.E. Skills, P.A.C.E. with Pros & Columnist for the #MommyPolice/ “Healthy Eating for Teens” on the digital site T.A.C.K.L.E. Skills.com .